Art is a way of making and communicating meaning through imagery. It is a unique symbolic domain and is a discipline with its own particular demands and core of learning. Art is a natural and enjoyable way of extending and enriching the child’s experience of the world. Visual arts activities enable the child to make connections between the imaginative life and the world and to organize and express ideas, feelings, and experiences in visual, tangible forms. In drawing, painting, constructing and inventing, the child assimilates and responds to experience and tries to make sense of it. Visual arts education provides for creative and aesthetic experiences through exploring, investigating, experimenting, inventing, designing and making in a range of media. It promotes observation and ways of seeing; it helps the child to acquire sensitivity to the visual, spatial and tactile world and to aesthetic experience. Visual arts education channels the child’s natural curiosity for educational ends: the development of perceptual awareness helps the child to enjoy and interpret the visual environment and art works and can facilitate learning in all areas of the curriculum. Creative achievements in art contribute to a sense of personal identity and self-esteem and help to create cultural awareness and empathy. Drawing is an instinctive way for the child to communicate understanding, feelings and her imaginative life. The developing child quite naturally invents symbols to represent the human figure, animals, and a variety of observed objects. Later, the need to progress beyond repeated symbols and to express a growing sense of individuality becomes apparent. 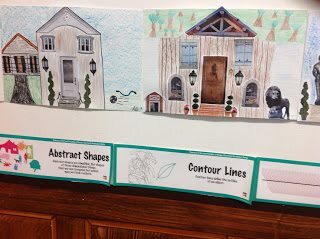 Developing the ability to look with curiosity and concentration at qualities of line, rhythm, texture, color and tone in the child’s surroundings and in the work of artists is essential to developing drawing potential and enjoyment. 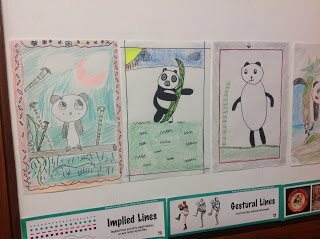 Drawing has particular importance in the curriculum. Paint is an ideal medium for developing the child’s sensitivity to color, because it is fluid and its effects are immediate. It is important to explore the expressive and descriptive effects of a variety of color media and to encourage adventurous use. Color awareness promotes sensitivity to and enjoyment of color in the child’s surroundings and is further enhanced when the child has opportunities to look at the work of artists. Printmaking extends the child’s range of expression. Printmaking activities provide additional opportunities for developing awareness of the interrelationships between shapes and colors and the impact they can have, and for experimenting with pattern. They also draw attention to the use of print in everyday objects and help to expand understanding of the image-making processes in evidence in the child’s surroundings. Clay is a versatile medium for free imaginative expression. Children begin to understand its inherent possibilities for three-dimensional expression as they model with it and change it. The plastic, malleable nature of clay makes it an ideal medium for learning about form. Construction activities with a variety of three-dimensional materials can help the child to become more spatially aware, can encourage inventiveness, and can help to promote sensitivity to structure in the immediate and wider environments. The visual arts activities for the different media help to develop sensitivity to qualities of line, shape, form, color and tone, texture, pattern and rhythm, and spatial organization, and enable the child to use them purposefully. These qualities are both the elements of the visual world and the language of artistic communication. Integrated learning is an important aspect of primary education. The visual arts activities incorporate a number of media, and many are cross-curricular; they provide a variety of contexts for developing concepts and skills and are added opportunities for creativity and inventiveness. In visual arts education, language is vitally important in stimulating ideas and recalling experiences so that they are vividly present as the child tries to express them visually. Being able to talk about art is also an essential part of the child’s development in art.